entitled, ISLAND OF NEWFOUNDLAND in November 2018. Michael turned 80 years of age on November 2, 2018. The CD contains 18 songs. Michael wrote or co-wrote 6 songs and the rest are traditional. sings the song as well. What You Mean To Me and When The Plane Touches Down In Newfoundland. Another song sung by Michael is The Hockey Song written by Stompin' Tom Connors. 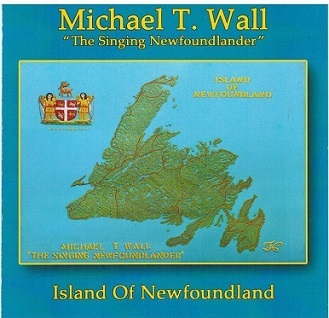 Michael does a fine job singing these songs and good ratings from Atlantic Seabreeze.